I'm a food enthusiast but also a health freak! Thus, I like pork char siu but prefer the skinny pork tenderloin version as a healthier option. I know that the pork tenderloin kind of char siu is not the most ideal of char siu and can be a little dry to be the filling of char siu bao (steamed buns) or siew bao (char siu pastry buns). So, here I am exploring the possibilities of cooking char siu chicken. 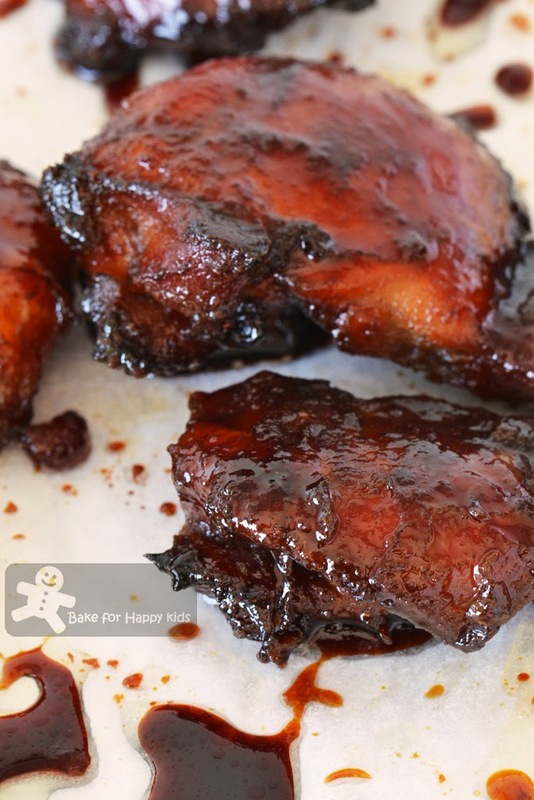 Char Siu Chicken that really taste like Char Siu! 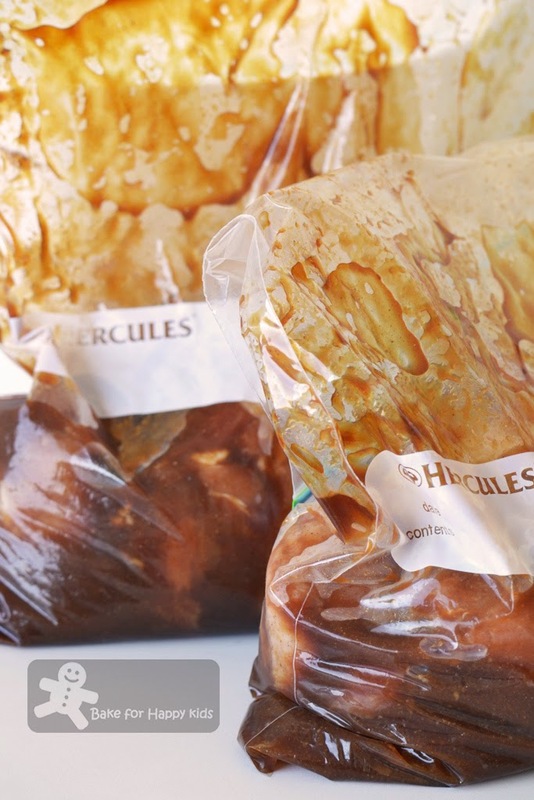 Place chicken and marinade in zip lock bags and marinate chicken in the fridge overnight. Cover the chicken with foil and cook them in the oven first. 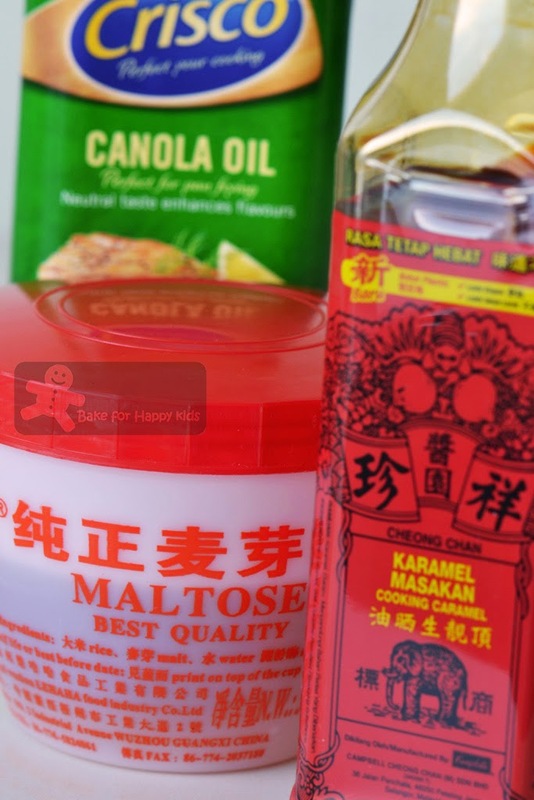 While baking, prepare glaze with these ingredients. Lovely sticky tender char siu taste! Our fussy boss: What is this? Fussy boss didn't say anything and continue to chew. I can see my husband's impressed facial expression when he were chewing these char siu. For this reason, I like to regard my husband's silence as a positive kind of agreement... LOL! 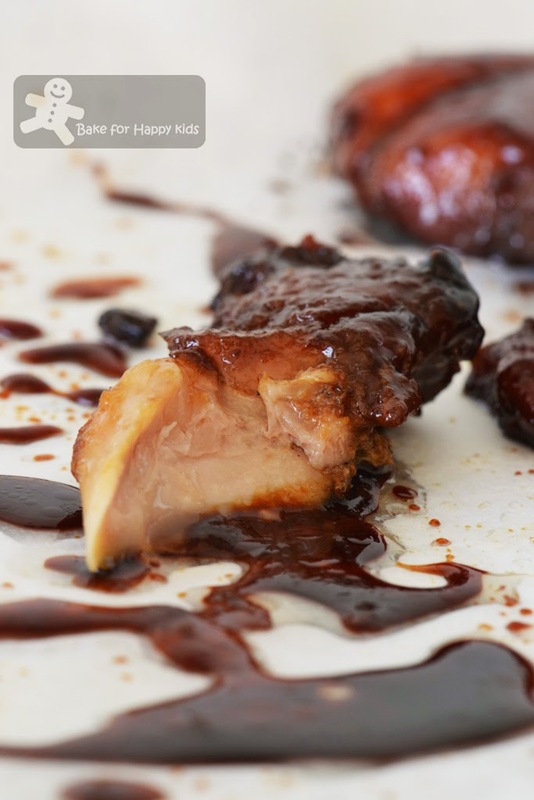 Combine chicken with all marinating ingredients. Place them in zip lock bags and make sure the surfaces of the chicken are well-coated with marinade. 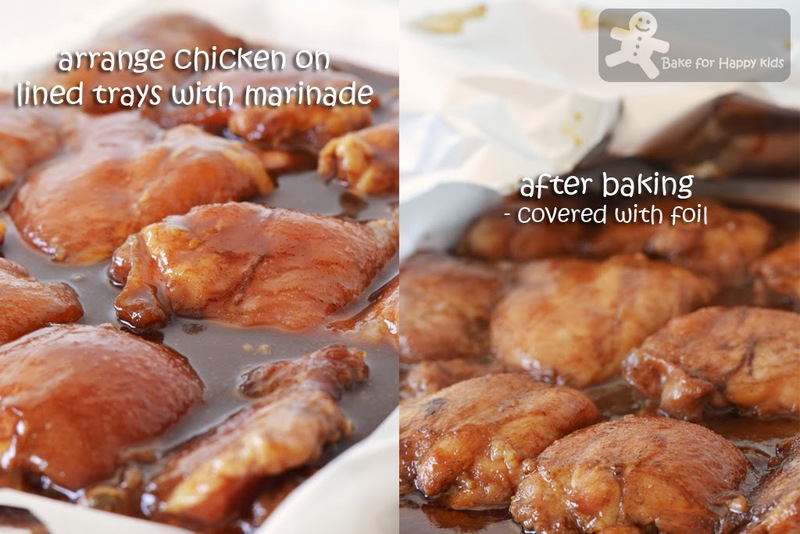 Marinate chicken in the fridge for at least 2 hrs or preferably overnight. Preheat an oven to 180°C or 160°C fan forced. Line a baking tray with aluminium foil and baking paper on top. Arrange marinated chicken as a single layer (without any chicken stacking on top of each) on the lined tray. Pour marinade on the chicken and cover the tray with aluminium foil. Bake the chicken at 180°C or 160°C fan forced for 20 mins. Remove chicken from the oven. Remove the covering foil and bake again at 180°C or 160°C fan forced for another 40-60 mins until chicken is tender. Keep basting while baking until the chicken develop a nice reddish coat. While the chicken are baking in the oven, combine all glaze ingredients in a heat proof bowl. Warm glaze slightly in the microwave with low power for 10-20 sec or warm the side of bowl to help them to combine together. When the chicken is ready with nice reddish colour, remove them from the oven and brush each side with generous layer of glaze. Increase the oven temperature to 200°C or 180°C fan forced with grilling option. Grill each brushed side for 3-5 mins for a final shine and charred surfaces. Flip them over and brush the exposing side with a new layer of glaze and grill for another 3-5 mins. Repeat until nice charring surfaces on all sides of the chicken are achieved. Yummy-licious! Slurp! Very nicely roasted char siew chicken. I have ever roast char siew chicken wings & a few pieces of chicken fillet using commercial LKK char siew sauce. Seeing yours made from scratch is so yummy-licious and so tempting. Thanks for sharing ^-^! This chicken look delicious Zoe!! I thought you made char siew pau with chicken fillings.. 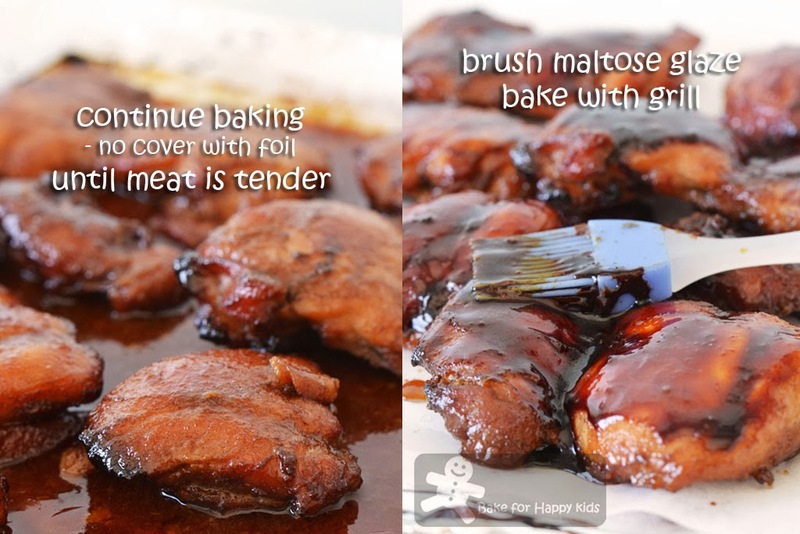 But whatever is it, your char siew chicken looks so sweet, juicy, tender, complete with sticky goodness.. Yummzzz, can eat just like that, or with white rice, anything also can, yummzz..
Will be trying out this recipe as soon as possible...looks so very, very good! I always get really quiet when I'm eating something really good! This is a wonderful dish -- you outdid yourself! Thanks so much. 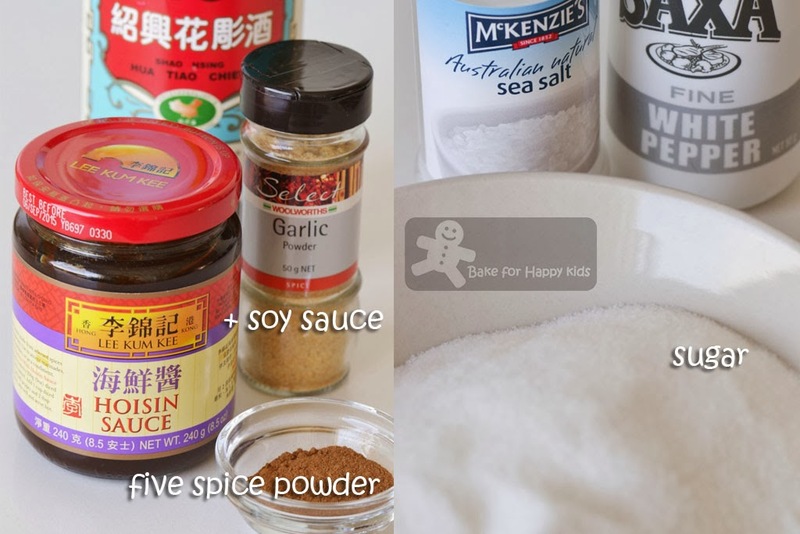 I've been looking for that kind of caramel sauce for quiet sometime but I haven't found it yet or maybe I just need to look harder lol It's not the same as dark soy ? Okay , I'll Google it later ... Your chicken char siu certainly looks pretty appetizing though I'm partial to fatty pork char siu ( ha ! ) the chicken version sounds wonderful and I'm sure it tastes as good as it looks ! I used to think char siu chicken is so weird, then I had it one time at a Halal chinese restaurant and you really couldn't tell the difference from pork char siu. 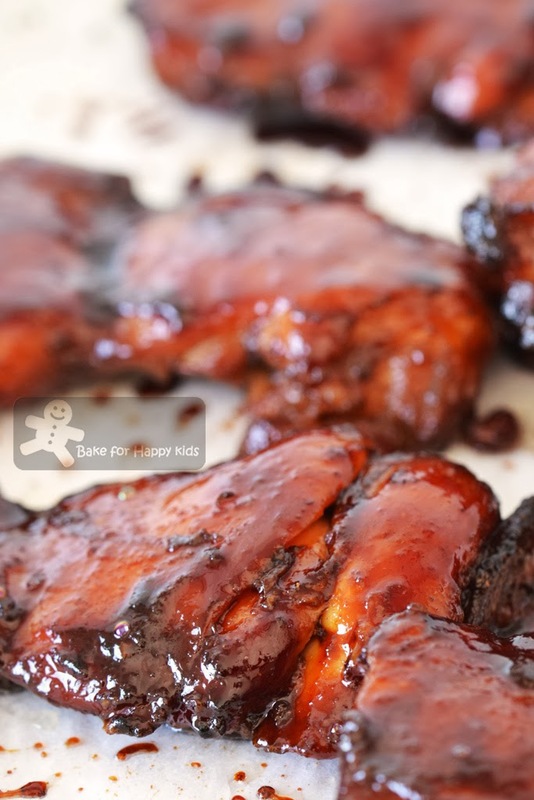 Well done you, love the sticky char siu photos... glorious! Yum! Too attractive and tempting recipe. Thanks for sharing this delicious char siew chicken, Zoe. Looking forward to see your char siew chicken buns. I love that colour, all juicy and delicious. Oh my dear!!! Your juicy, succulent, and absolutely delicious char siew is making my mouth water so badly babe! I loving it! This is unbelievably easy to cook Zoe!